The most pressing problem that the world faces today is the lack of greenery. The rapid deforestation and clearing of natural habitats to make space for buildings and other constructions, especially in the urban areas, has left people with a want for greenery. Moreover, as more and more people opt to live in apartments and smaller houses, there is no space for a garden or little patch of green, as was the case in earlier times. Hence, people have started looking for convenient alternatives that can substitute for the loss of plant life, in their own little ways. 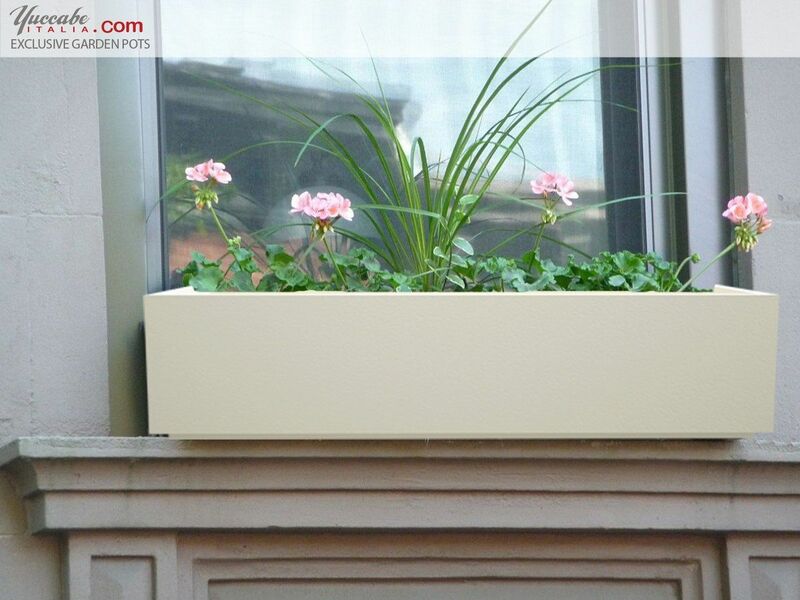 Modern balcony planters are items that are used in the space of home décor. These planters are smaller, hassle-free and modern versions of the traditional plant pots. They are mostly kept in the balcony due to the availability of fresh air and sunlight that are necessary for the plants to thrive. Convenient – The modern balcony planters are available in a wide range of sizes with various ways in which they can be kept. Depending on the size of one’s balcony and the area that one wants to use, the individuals can choose appropriate planters. It is convenient to accommodate such planters because they can be kept on a rack at the side of the wall. Suspended from the sun-shade or kept in any other way that pleases the individual. Beauty – There is no doubt with regard to the fact that a little patch of greenery at home definitely adds beauty to the house. It acts as a part of the home décor and is often taken into consideration by interior decorators as well. It is a very natural way of decorating one’s house in the most environmentally friendly ways possible. Refreshing – In a world where artificial beauty is becoming widespread, balcony planters act as a refreshing addition to your homes. It gives the house a refreshing look and adds color Moreover, the belief that keeping plants at one’s home helps to keep it cooler is another benefit of investing in planters. Air quality – Millions of people are suffering from respiratory problems in different parts of the world. This problem can be accredited to the deteriorating quality of air. These pollutants enter our body because of the air we breathe in and cause numerous problems in the lungs and other organs. It is impossible to shield ourselves on the roads but we try our level best to improve air quality at home by installing air purifiers and dehumidifiers. Installing planters is a cheaper and natural way of improving air quality at home. The plants are known to gives us clean oxygen and absorb the harmful elements present in the air. Sustainability – People may be fond of certain herbs and spices that may be expensive or not easily available in the market. Hence, it could be useful to grow herbs like parsley, oregano, rosemary and thyme under our own roofs with the use of planters.